No, the individual who is trying to buy a statewide election this time actually hails from the Republican Party this time. His name is Bill Maloney, and like Rockefeller before him, he is a transplant from the North, a man very few know much about, and whose lack of relevant experience for the state's top job has been on full display recently. Maloney's botched, simplistic answers on important issues have been significant: dealing with the state's budget, addressing the huge amount of unfunded liabilities the next Governor and legislature face, and defending private property rights for those wanting to participate in the Marcellus Shale bonanza. All politicians are ambitious. Some would even say all of them possess a bit of arrogance. To be sure, those who put themselves forward as leaders with a vision or a plan for improving our lot as West Virginians must have some degree of self-confidence. But running for the state's top job on one's maiden political campaign takes a degree of moxie that many Republicans are finding hard to take. 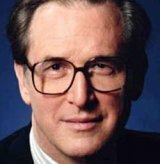 Even ambitious Jay Rockefeller served in the House of Delegates and as Secretary of State before attempting his first run for Governor. Yet Bill Maloney's only known foray into politics was to give a greater financial contribution to Democrat Mike Oliverio than to Republican David McKinley last year in their contest. And now he seeks the GOP's nomination for Governor? This isn't about "paying one's dues to the Republican Party." The West Virginia GOP rightly welcomes all who wish to foster a two-party state here in the Mountain State. Rather, this is about life experience. While Maloney's staff tries to convince people that any form of past public service makes an individual a "career politician," more seasoned voters know better. None of the other Republican candidates this year have spent their entire professional lives in politics. But some have served us before, either part-time in the legislature or full-time for a term or more in a given elected office. How they performed in those offices is relevant. But they have gained some valuable experience from their public service. Maloney has to run their service down because, let's face it, he doesn't have any such experience at all. West Virginia Republicans pride themselves on not being bought. Maloney appears to be trying to make up for lost time by buying the election the way Rockefeller used to do, with an enormous outlay of broadcast ads and glossy direct mail pieces. But the Republican Party is the party that told Arch Moore to "Make him spend it all, Arch!" when the former Governor faced Jay Rockefeller--and beat him--for Moore's re-election in 1972. Moore was outspent terribly by Rockefeller. But people like their own leaders more than outsiders almost every time. Perhaps more Republicans would have given Maloney more of a pass this year had Maloney ever contributed significantly to the building up of the two party system over the years. However, this obscure individual has come out of nowhere, is still not well-known, and could have benefitted from running for a somewhat lower office, like State Senate or perhaps Congress. But no, Maloney has wanted to be at the head of the class on his first day of school. In recent years, the West Virginia Republican Party has shown signs of real life. Take a look at the candidates like Delegate Marty Gearhart (R-Mercer) and local attorney Conrad Lucas (R-Cabell) who dared to take on the daunting task of challenging Democratic Congressman Nick Joe Rahall for his seat in Washington. They didn't win in their effort to be the nominee of the Republican Party last year--that distinction went to Spike Maynard. But they were willing to start with a smaller office than Governor, in order to gain the vital experience necessary to one day help guide our state. 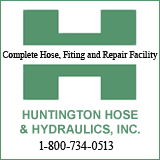 To date, Bill Maloney has shown that he has deep experience in drilling. However, he has not shown that he can negotiate with the legislature, deal with tough questions from the press, or, as of this writing, grasp the complexities of current public policy questions facing the state. He should go back to Morgantown and look at how he can make a serious contribution at the county level before presuming that he knows how to lead a state of 1.8 million citizens. As a state, we have suffered mightily for over four decades thanks to an expensive import named Rockefeller. Try as we may, we can't think of one significant achievement the man has had over the course of his long career here in West Virginia. The Democrats blessed us with Jay, who managed to scoop up enough local talent to finally win the Governor's Mansion on his second try in 1976, after spending an obscene amount of money to make it happen.